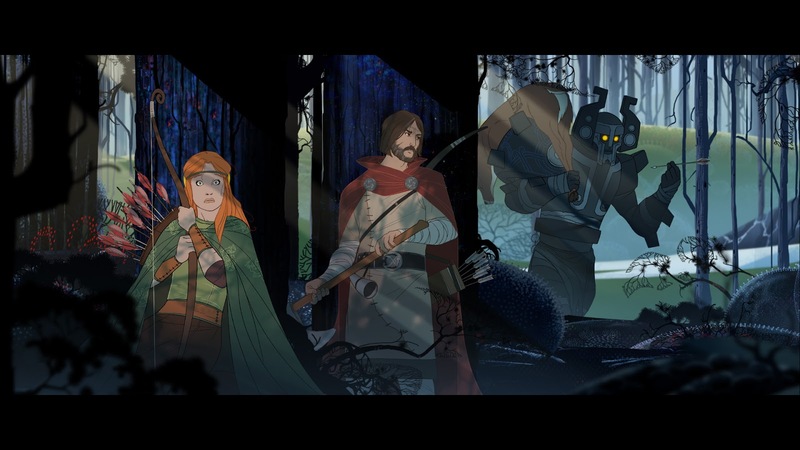 The Banner Saga is one of the most solidly-OSR video games out there, so in honor of its recent conclusion, here's all you might need to run it. Men and women who show aptitude in pulling upon the threads of creation are taken in by the order of Menders and sent out across the world to build and heal. Mend: Menders may repair [level] damaged objects per day. Herb Lore: Menders are trained in herb lore and healing arts. 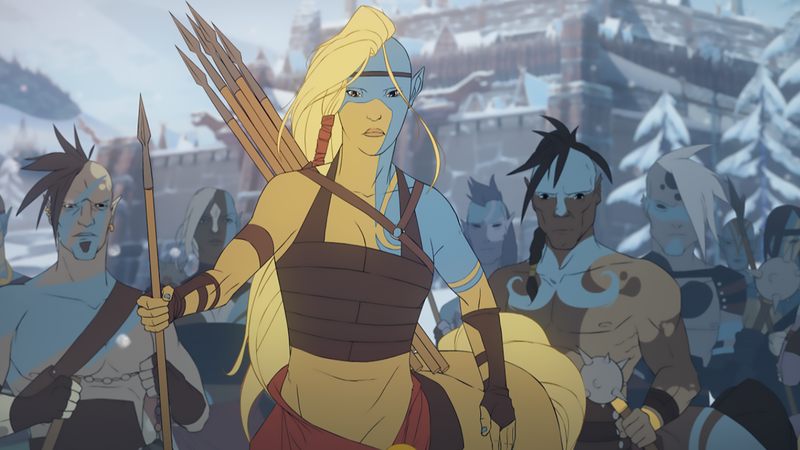 The highest and most powerful of the menders are the valka, who sit in council at Manaharr and watch the world unfold around them. Men of their number often go mad from minds over-driven. Herb Lore: Valka are trained in herb lore and healing arts. Wielders of Power: Men or varl who would willingly and openly cross a valka are tremendously driven or immensely stupid. Wielders of political power are inclined to dislike your interference, and undermine accordingly. Mend - Repair a damaged object or small structural damage. Arc Lightning - Does 1d6 damage to target, 2d6 to adjacent target, 3d6 to the next, etc. Confusion - Enemy must pass save or attack its fellows this turn. Inspiration - Target gains 1 reroll. Ride the Lightning - Shoots forward in 50' straight line, automatic melee attack, then return. Mend Flesh - Heals target 1d6+lvl HP. Breeze - Target may move double their speed for one turn. Runic Gale - 10' circle grants all who step inside a +1 to all rolls their next turn. 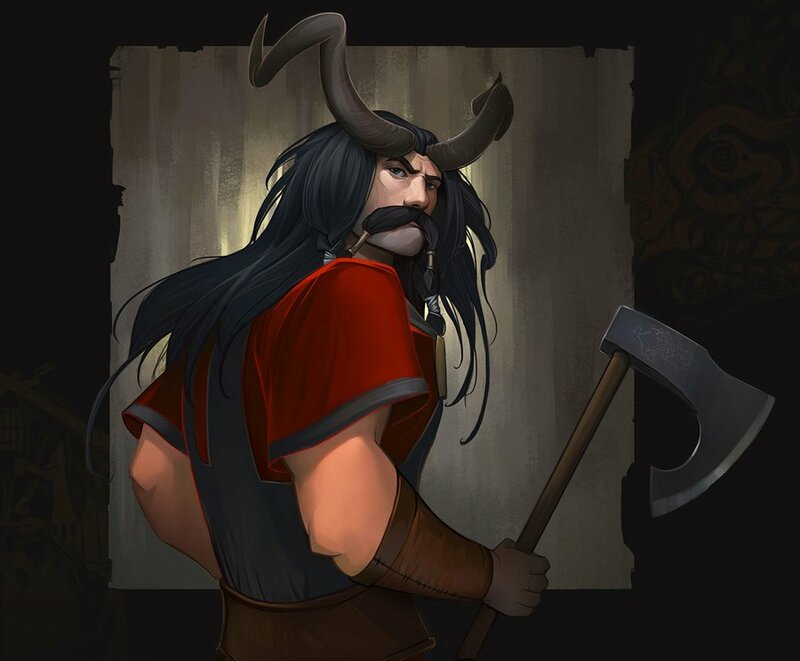 Horned giants created by the god Hadrborg; now a dying race, as no more will ever be made. Of Our Bones, the Hills: Varl add + 1 to their STR and CON modifiers. Shoulders Most Broad: Varl may carry twice as much equipment before becoming encumbered. They may carry 2 Sacks during long-distance travel. It's the Beard: Varl are all male, cannot reproduce, and show no interest in related fields. Fear of Fire: A successful WIS save is required to come close to or interact with fire. Otherwise, varl will avoid it as a priority. Can only wear light armor, specially made. Proficient in flails, spears, and lances. Freedom of Movement: Horseborn move and carry as ponies, being smaller than normal horses. They have no love for cities, buildings, and walls. Underground is right out. Like a Kick in the Head: Horseborn may make a 1d8 melee attack to an adjacent enemy. On a hit, the target must make a successful Save vs Paralysis or be stunned for 1d3 turns. Created by a bitter and nameless god to wage war against the rest, the dredge are the silent hordes that come up from beneath the earth and down from the north wastes of Valkajokull. Weapons and Armor: See below. To-hit as fighter. Stone Speech: Dredge speech is akin to the tones of a tuning fork. Menders may learn to understand their language, and may speak it with the aid of an appropriately-tuned staff. Dredge can understand the language of men and varl, but cannot speak it. The Great Enemy: Men and varl (especially the latter) view you as an enemy. Hostility is guaranteed, violence likely. Armor: Dredge armor is an extension of their stony skin. They cannot wear any additional armor atop it, but may use shields. A dredge may elect to shatter their armor to absorb 1d12 damage from a single physical attack. They will take -2 to AC for each time the armor has been shattered, which cannot be repaired without the aid of a mender, stonesinger, or two days' work by a trained stonemason. Anyone adjacent to the dredge when armor is shattered takes d4 damage + 1 bleeding damage for d4 turns. Weapons: Dredge weapons are made of stone. On an attack roll of 1, the weapon will shatter, dealing d4 damage, + 1 bleeding damage for d4 turns. Template: Choose one of the following archetypes. Can wield great weapons in one hand. 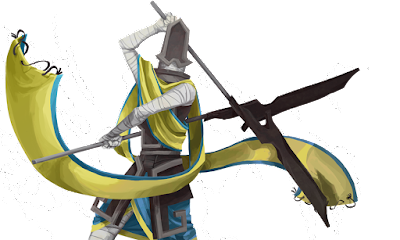 For -2 penalty to hit, can stun enemy for 1 turn with a successful attack. Carries two stone blades (d8) that may be struck together to cast spells. Disease strike - A successful hit does an additional 1/turn to living targets, non-stacking. May cast the following [level] times per day. Can mend shattered armor and weapons, or other broken objects. Rupture - Enemies within hearing distance take 1d6 + lvl damage. All dredge armor in range shatters in addition to the damage. 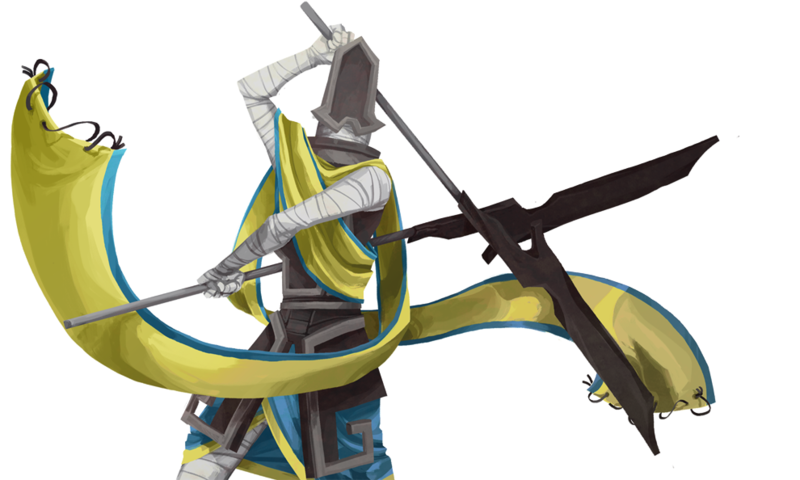 Umbrage - All nearby allies lose -2 AC from damaged armor, but gain +2 to hit and +2 damage until the end of combat. Dredge armor shatters. The gods are dead, their powers have faded from the world. There was never an organized religion, and now few people hold onto any of the old traditions at all. Each god has a god-stone somewhere in the world, engraved with their likeness. They are notable landmarks, and gathering places for the few remaining faithful. Loom-Mother - Creator of the world and of humanity, teacher of magic. Dundyr - Loom-Mother's counterpart, god of beards, smithing, games, and song. Hridvaldyr - God of beasts and hunting, of the deep forests. Weilder of a terrible spear. Denglr - God of fortune and wealth, all things desired that one cannot have. Radormyr - God of the harvest, depicted as a great serpent that lives within the sun. Marek - God of waters and the sea, depicted as a vast aquatic beast. Hadrborg - Disciple of the Loom-Mother that created the Varl. 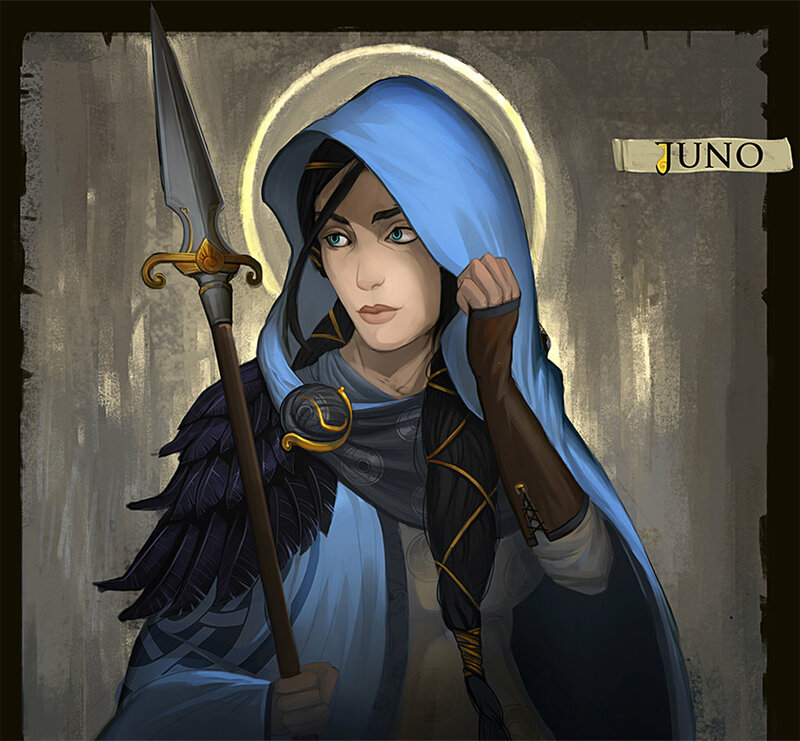 Ingrid - Through her godstone, the menders learned the language and history of the gods. Bjorulf - God of mead and brewing. Very popular, despite his stern countenance. Stravhs - God of secrets and trade. Built weapons the gods used to kill each other. Aselei - Goddess of all those traveling unfamiliar lands, of what lies beyond the riverbend. Irynx - The Winter Bird. Baldringr - A god of war, shunned by the varl for reasons they will not say. Vez'nan - God of a lost, subterreanean people. Gained the greatest power by forsaking all. Geirraðr - God of wise council and direction, off invention and good decisions. Bygglaerer - The Builder, who formed the cavernous foundations of the world. Lauga - Goddess of love, beauty, and things that happen in the night. Dredge - The dredge raised a godstone in their own image. Their creator goes unnamed. Luka Rejec's Ultraviolet Grasslands covers everything one would need to run the travel portions of the Saga. Simply replace the points of interest with locations from the game (or suitable equivalents) and play with the final goal being reaching Arberrang (or, for UVG, The Black City). Besides that, the following points should be helpful. There is a darkness in the north, and the dredge are pushing south. We don't know why. Fighters and specialists are as usual. Clerics and magic-users are replaced by Menders and the Valka. There are neither horses nor plate armor. You do have yox, which are yak + ox. Most strange creatures come from underground. A single valka is significant. More than one is a status-quo-breaking proposition. Among 100 refugees, there may be one or two menders. You must keep moving. The dredge will not stop and wait. The armor / health system in BS is great, though if I had added that the iron would be long cold by the time it was struck. This post is a more meaningful contribution than most rulebooks. I hope you find things to add and flaws to fix (because such things seem to always exist) and continue updating this setting guide. I value your work. I guess I should play Banner Saga. Love these games! Have you played 3 yet? I just beat it over the weekend. Was terribly sad, but looking now at the game as a whole it's done some things I haven't seen anywhere else in video games, when it comes to keeping things consistent and making a trilogy a unified whole.